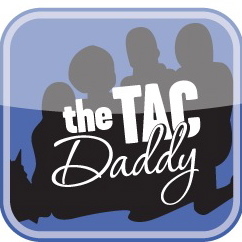 Our friends from the Tac Daddy Crew have launched an online series for real world gun owners called Tac Daddy LIFE. The new lifestyle gun show complements the live Thursday night show on the Tac Daddy YouTube channel. As much fun as it is to watch videos about high end, ultra-expensive firearms that are unattainable for most and tactical gear or training that might not be practical for the average gun owner, viewers are seeking out content that is more relevant to their lives. This is evidenced by the growing popularity of shows like NRA Freestyle’s NOIR, gun and gear reviews from regular people and, now, Tac Daddy LIFE. The first episode is available now on Tac Daddy’s YouTube channel and below. Join the discussion about the new series.